What do I do when my article gets rejected or I get a revise and resubmit? A colleague just asked something about getting a revise and resubmit answer to an article submission. This is something I am asked fairly often so I thought it might be a good time to post my advice about this for others who might want to know what to do. A revise and resubmit can be a good thing, after all it is not an outright rejection and hold on for a minute, there might be some ideas from the reviewer that will actually make your article better. Even a rejection can serve this purpose. That said, take the time to mourn the rejection of your “research child” and get over any anger at insensitve comments. (Yes, some reviewers can be cruel, ignorant and down right mean, in the best of worlds that would not be allowed but for some reason there are people who can’t seem to be courteous and focus on constructive criticism. You have right to be angry at them but don’t let that spoil your good work.) You have spent a lot of time on this article/presentation and you have nutured it from the time it was a baby idea, growing it in your brain, revising it based on your discussions with people and your experiences. You have good product, look at this as an opportunity to make it even better! Once you are done, have someone else read the article (good advice for anyone before you send anything out-it doesn’t need to be an expert in the field, someone you know like a friend, spouse, partner, any colleague can do it because they can tell you if what you wrote actually makes sense and they may even catch grammar or punctuation mistakes). All done with these things… RESUBMIT it (or submit it to another venue if it was a rejection or if you have found out something negative about the acceptance policies of the current journal). Then… consign its fate to the universe, know that you did your best work, kick back, have your favorite beverage, go play with your kids, animals, do something fun with a partner, spouse, friend or by yourself and forget about it until they contact you again (most likely with an acceptance)! thinking about ways that libraries can improve services to users? conducting research that will lead to the improvement of services to users. improvement in services to any specified group of people. the primary method of collecting data. be applied and have practical value as opposed to theoretical. commitment to the project has been secured. a practicing librarian and a researcher. the section on How to Apply. SEIT-2015 organizing committee invites proposals for workshops. The main objective of the workshops is to provide a forum for researchers and professionals to discuss a specific topic from the field of SEIT-2015 and its related areas. All papers accepted for workshops will be included in the SEIT-2015 proceedings, which will be published by Elsevier. The authors must follow Elsevier guidelines as given in SEIT-2015 Website. The number of pages for workshop papers is limited to 6 pages. The selective outstanding papers presented at the workshops, after further revision, will be considered for publication in journals special issues. CHICAGO – Nominations are being accepted for the 2015 Association for Library Collections & Technical Services (ALCTS) awards for excellence in publication. ALCTS presents two Publication Awards to honor individuals for outstanding achievement in research and writing in the field of library collections and technical services. The deadline for nominations and supporting materials is Dec. 1. The award honors an author or authors who have written the year’s outstanding monograph, article or original paper in the field of technical services, including acquisitions, cataloging, collection management, preservation, continuing resources and related areas in the library field. The award consists of a citation and $250 contributed by ALCTS. Works published in 2014 are eligible. Reprints of earlier publications will not be considered. The evaluation criteria include: intellectual content; practical value; theoretical value; scholarship; presentation; and style. Papers published in Library Resources & Technical Services (LRTS) are not eligible. We are soliciting chapter proposals for a book entitled Metaliteracy in Practice, to be published in late 2015 or early 2016 by the American Library Association. We would like to include chapters written by academic librarians, disciplinary faculty, administrators, instructional designers, and scholars of emerging literacies about successful educational initiatives and instruction that involve metaliteracy. The editors are particularly interested in ideas that are easily transferable, and that include strong components of student metacognition and empowerment. The book will include innovative case studies from different academic institutions in the U.S. and internationally. Given the relationship between metaliteracy and emerging technologies, we look forward to receiving proposals on a range of cutting edge endeavors surrounding social media and digital learning. We are also interested in the application of the expanded Metaliteracy Learning objectives featured in our current book Metaliteracy: Reinventing Information Literacy to Empower Learners and available via the Metaliteracy.org blog: http://metaliteracy.org/learning-objectives/. 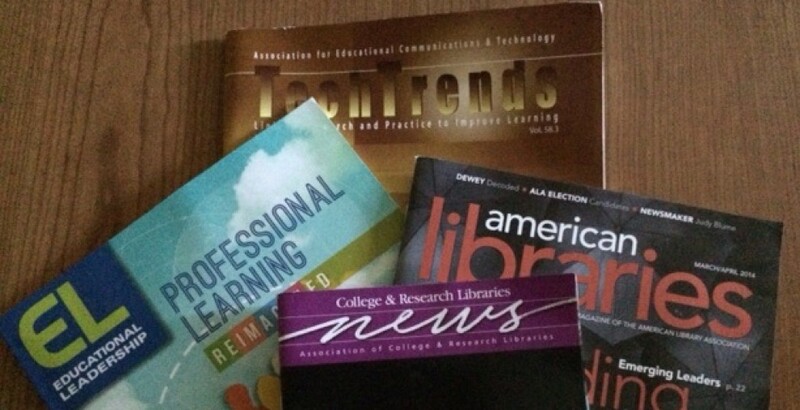 Metaliteracy, which reframes and reinvents traditional conceptions of information literacy, has become increasingly well known since its introduction in Reframing Information Literacy as a Metaliteracy in January 2011 in College & Research Libraries. In fall 2013, a connectivist MOOC on the topic was offered and a Coursera MOOC, which fully integrates with a metaliteracy badging initiative, will be offered in spring 2015. In 2014, Metaliteracy: Reinventing Information to Empower Learners was published by ALA Neal-Schuman, which expanded the model in both theory and practice and featured two chapters that examined specific case studies. This new compendium, Metaliteracy in Practice, will complement the first Metaliteracy book with chapters from a wide range of institutional and instructional design settings to meet the needs of librarians and other educators who would like to examine a wide array of practical examples focused on student success and empowerment. The ongoing ACRL process of developing the new information literacy framework has generated lively debates in the field about a number of the its proposed components, including metaliteracy, demonstrating the timeliness of a volume that is based on innovative case studies from the field. This book will be co-edited by Trudi E. Jacobson, Head of the Information Literacy Department at the University at Albany, and Thomas P. Mackey, Dean of the Center for Distance Learning, SUNY Empire State College. Please send 1-2 page proposals to Trudi at tjacobson@albany.edu no later than November 3, 2014. We will make our decisions by late November. First drafts of the completed chapters (20-25 pages) will be due on February 16, 2015. Final drafts will be due by April 17, 2015. If you have any questions about proposal ideas or about the book, please contact Trudi. The Shirley Olofson Memorial Award is presented annually in honor of Shirley Olofson, a well-respected former NMRT president, who died during her term in office. The award, which is intended to help defray costs to attend the ALA Annual Conference, will be presented in the form of a check for $1,000 during the 2015 Annual Conference in San Francisco, CA. The winner will be chosen in January before the ALA Midwinter Meeting. All applicants will be notified in March. Applicants must be members of ALA and NMRT, participate actively in the library profession, show promise or activity in the area of professional development, have valid financial need, and have not attended more than five ALA annual conferences.